The Rane Commercial DA216S Distribution Amplifier is a two-input, sixteen-output splitter/distribution amplifier, well suited for retail, restaurants, clubs, malls, schools, houses of worship, and more. Inputs can either be mic or line sources allowing for background music and/or announcements. Each of the sixteen outputs can reference inputs A, B or A&B via front panel switches. Input and output levels are individually adjusted via the front panel screwdriver controls. 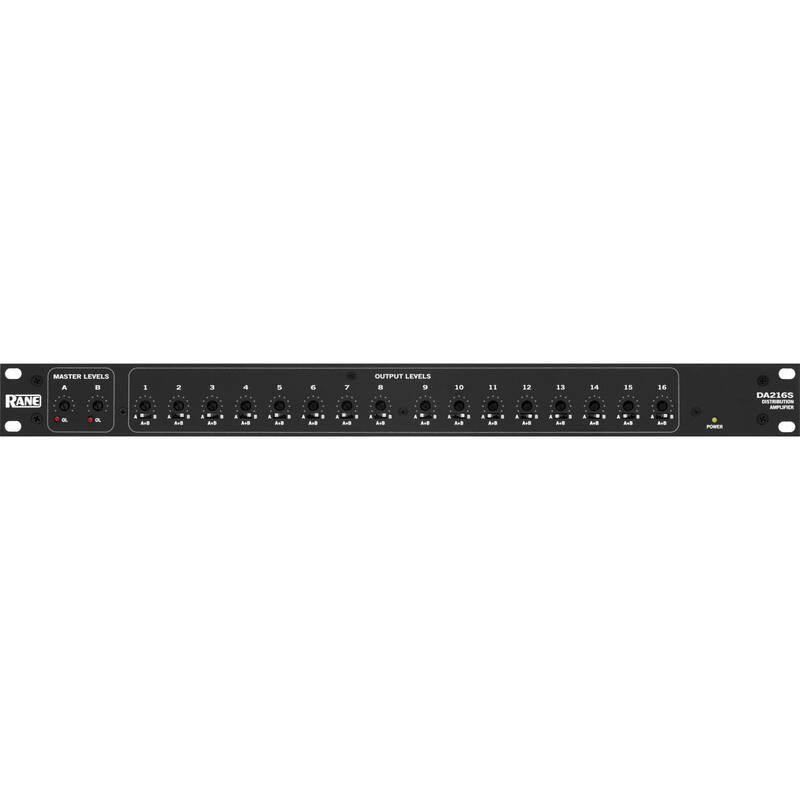 The rear panel allows for a variety of gain setting for both mic and line inputs. The phantom-power switch provides +15 VDC of power for condenser microphones. Each output stage incorporates a high-current balanced output line driver for driving long lines with optimal performance. Euroblock wire range is #14 to #26 stranded or solid. The Rane DA216S ships with a power cord and incorporates a 100-240 VAC internal universal voltage power supply, operable nearly anywhere in the world. Box Dimensions (LxWxH) 20.3 x 13.75 x 4.25"